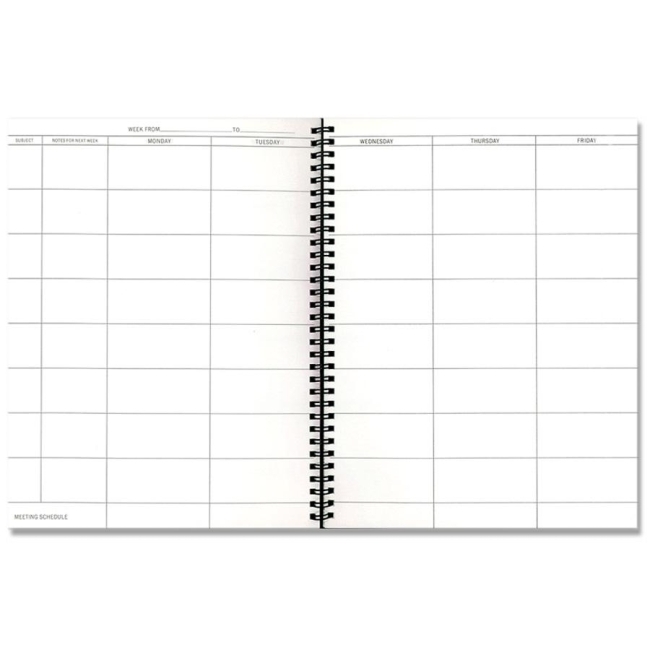 Teachers Wirebound Plan Book features weekly schedule and important dates, eight seating charts, lesson plan charts for 40 weeks, class record sheets and instructions for substitute teachers. Twin-wire binding with burlwood covers. White paper. Contains 56 pages.